Pendleton Point in Islesboro, Maine. 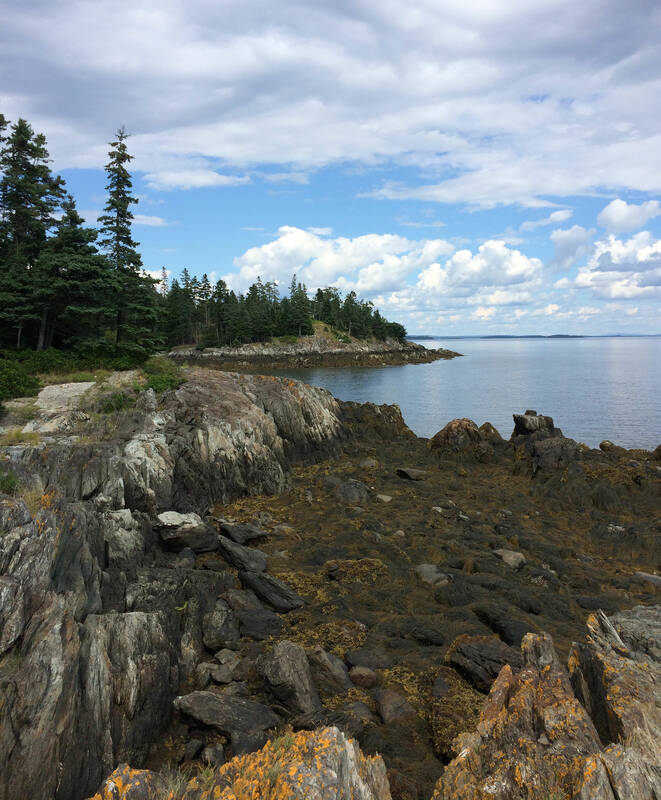 Did you know that Maine has more coastline than California? NOAA's official value for the total length of the U.S. shoreline is 95,471 miles. The NOAA shoreline length calculation was determined by hand in 1939-40 with a recording instrument on the largest-scale charts and maps available at that time. Shorelines of outer coast, offshore islands, sounds, bays, rivers, and creeks were included to the head of the tidewater or to a point where tidal waters narrow to a width of 100 feet. For the Great Lakes, the shoreline lengths were measured in 1970 by the International Coordinating Committee on Great Lakes Basic Hydraulic and Hydrologic Data.